Hot on the unclad heels of Sarah Lucas’s show at Sir John Soane’s Museum comes an exhibition marking the 400th anniversary of the death of Shakespeare. London is awash with Shakespeare festivities from Somerset House to Dr Johnson’s House. The Soanian exhibition is the best, the most intriguing, and is set in a superior interior. The playwright’s connection to the architect is far from tenuous. Quite the opposite in fact. The exhibition space occupies two first floor galleries in the house to the left of the museum’s famous façade. “It was too tempting not to get out all four folios to make the point! Lovely!” smiles Alison. 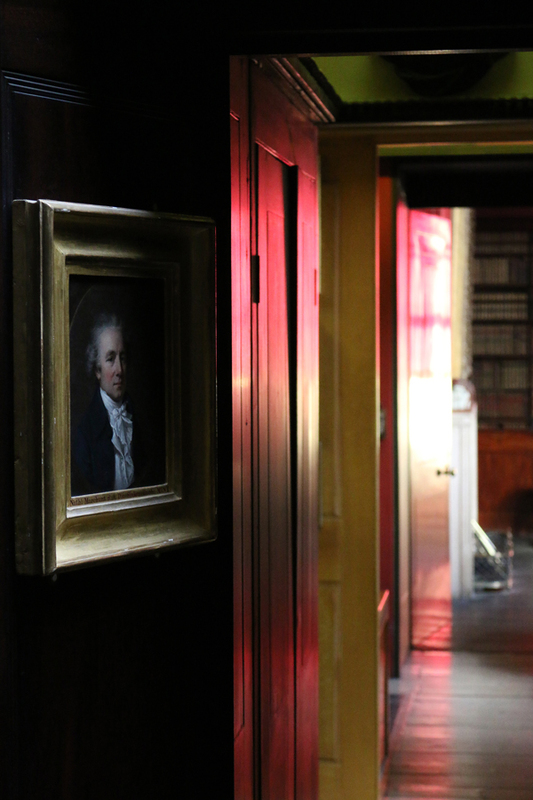 “It’s a celebration of the imaginations of Soane and Shakespeare.” The patronage of Dr Johnson’s friend Garrick is on display through actors’ portraits and theatre designs. 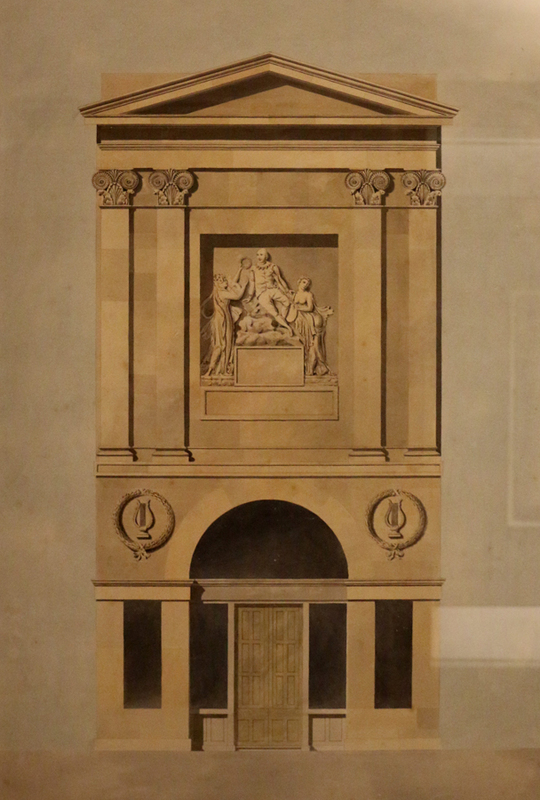 Garrick commissioned both Soane and Robert Adam so another celebrated architect is represented. 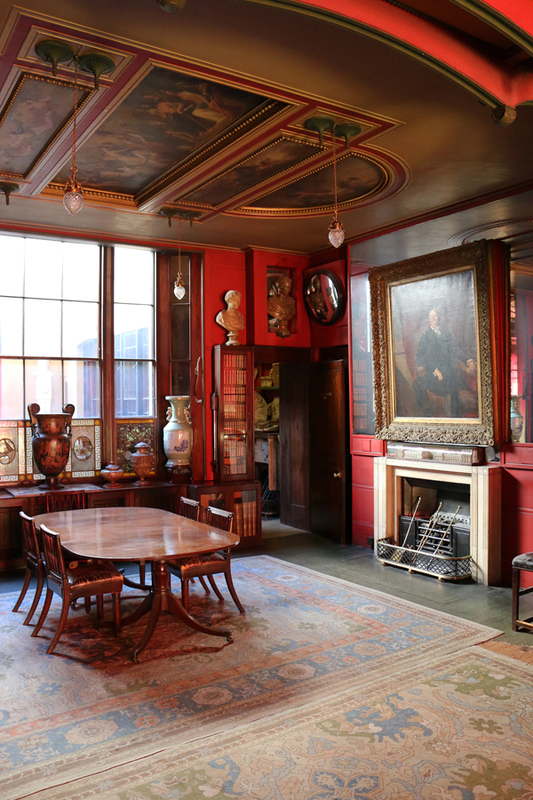 Indeed, Soane astutely purchased the full set of Adam’s office drawings. Tying various artistic strands together is Soane’s drawing of George Dance’s front elevation of the Shakespeare Gallery on Pall Mall. 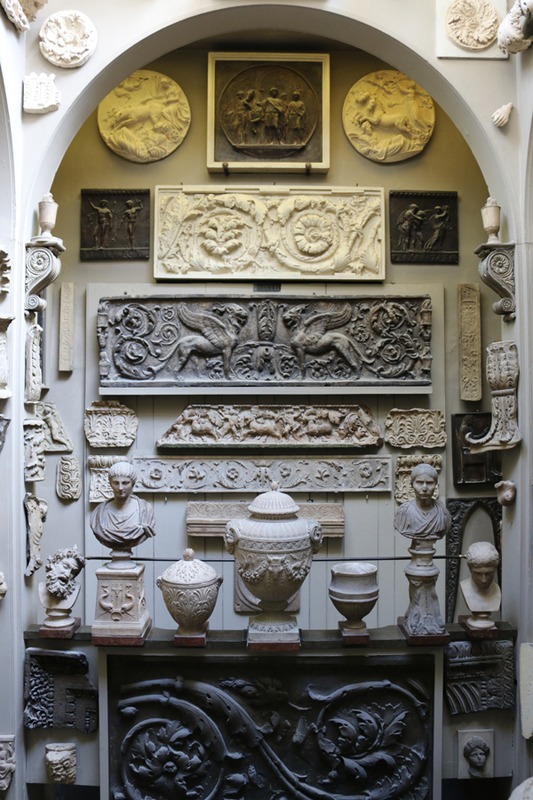 Short lived and commercially disastrous, the design of the Shakespeare Gallery nonetheless was inspirational to Soane. Its flying saucer domes would later reappear at the Dulwich Gallery. Museum Archivist Sue Palmer points to a diary, “Rather charmingly, when Eliza and he went to visit their son studying architecture in Liverpool, Soane noted their visit to plays in Stratford-upon-Avon. 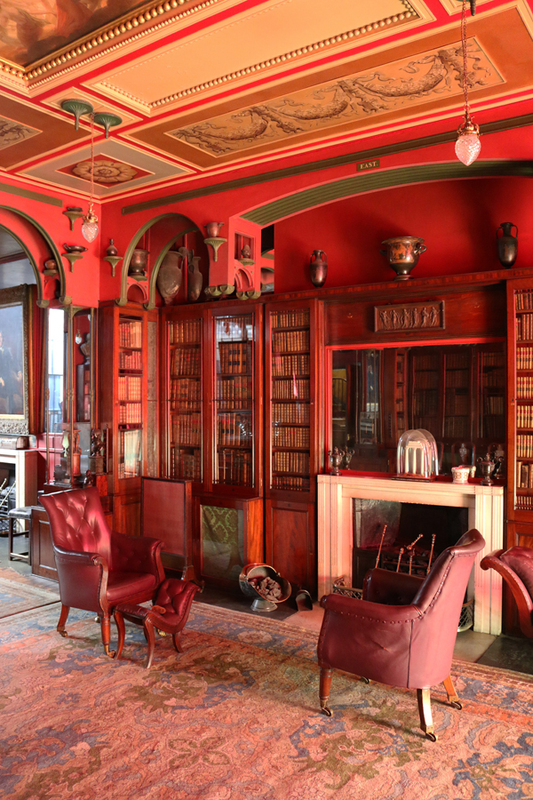 So that’s rather fun!” All three academics concur that Soane was the most literary architect Britain has ever had. In 10 out of his 12 Royal Academy lectures he quoted Shakespeare. His interest in theatre, a medium obsessed with illusion, befits the great conjurer of space. Soane promoted Shakespeare as the supreme embodiment of English literature. The architect never knowingly undersold his talent. 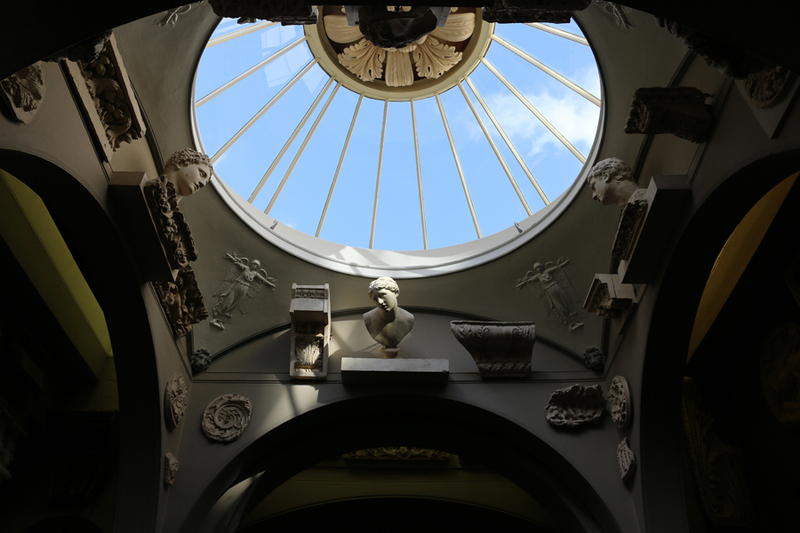 No doubt Soane was heavily hinting that he was the supreme embodiment of English architecture. This entry was posted in Architects, Architecture, Art, People and tagged 20 st jamess square, archivist susan palmer, artist sarah lucas, david garrick, dr frances sands, dr johnsons house, dulwich gallery, eliza soane, garrick club, irish georgian society london chapter, james boswell, lavender's blue, peter jones, professor alison shell, robert adam, shakespeare gallery pall mall, shakespeare ladies society, shakespeariana, sir john soane architect, sir john soanes museum, somerset house, stuart blakley, the cloud capped towers shakespeare in soanes architectural imagination, university college londo, william shakespeare. Bookmark the permalink.